The Chilean government has accused fishing giant Marine Harvest of “causing environmental damage” after some 600,000 salmon injected with antibiotics escaped from a local plant and into the water last month. Minister of the Environment Marcela Cubillos Sigall said the government would take legal action against the Norway-based fishery that has a major hub in Chile. “Today in Puerto Montt we filed a lawsuit for eventual environmental damage against Marine Harvest for the escape of salmon,” Cubillos wrote in a Tweet on Monday. “Subsecretary Felipe Riesco is in Puerto Montt and went to the regional office of CDE to present the antecedents. 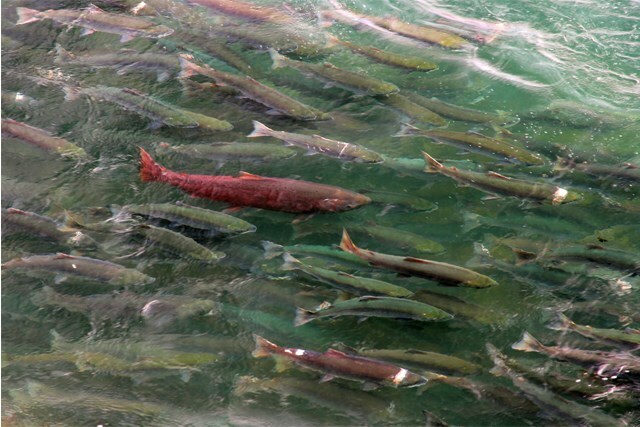 The hundreds of thousands of salmon who were all believed to be injected with the antibiotic Florfenicol escaped into wild waters last month when a storm damaged a barrier in the city of Calbuco. Because the fish need a series of injections, which was not completed at the time of their escape, they are now unfit for human consumption. According to a report from Reuters, Chile is the second largest supplier of salmon in the world, behind only Norway.